Fix: When the AC won’t turn on and there isn’t any power reaching the unit itself, it may be due to a fuse that’s tripped. Always check on the circuit breaker first to make sure it’s not the reason why the AC is not turning on. If not, check on the thermostat settings and make sure you have it correctly set to cool the space. Potential Cause: Even if your AC is not making any weird noise, another way to gauge if it is working properly is through comfort. If you don’t feel as comfortable as you did the last time, there may be issues with the unit. Usually, comfort has something to do with airflow issues. Fix: When AC airflow is restricted and makes you uncomfortable, it may be due to a filthy filter. Getting the filters regularly changed is part of your regular heating and cooling unit maintenance. If you don’t do this as recommended, the quality of your indoor air is decreased and the risk of getting respiratory diseases increases. If the filters aren’t the issue, also make sure to check on the outside unit of the AC and remove any sort of obstacle to your home’s registers and returns. Potential Cause: When you see a sudden spike in your energy bills, it is usually an indication that your air conditioning unit is becoming more inefficient. Aside from having a dirty filter as the usual culprit, the unit’s inefficient operation may be due to a condensing coil that’s choked. The condensing unit is typically located outside your home and can easily be a good spot for dust and debris accumulation. Fix: While you may be able to do basic clean up of the coils and cooling fins, it may also be high time to call an expert to do a spring tune up. Potential Cause: The rattling or buzzing sound coming from the AC may be due to a simple issue of having loose screws or it could also be as worse as bent indoor or outdoor fan blade or faulty fan motor. Fix: Upon inspection, you might be lucky if you find out that all you need to do is tighten some screws and give your unit some lubrication here and there. However, if that doesn’t fix the problem, you might just have to get the blower motor replaced or have a pro do an inspection and tune up as needed. Potential Cause: When an air conditioning unit simply shuts down even before you get comfortable or after you feel that cool air, it could be due to a thermostat that’s incorrectly placed and set up. Either that or you have your unit directly sitting under the sun or set too close to a register or a hot oven. Fix: Get the issue resolved by simply getting the thermostat relocated to a suitable place that won’t affect its performance. Potential Cause: An air conditioner that just won’t turn on after all troubleshooting steps may be caused by a compressor that’s burnt out. 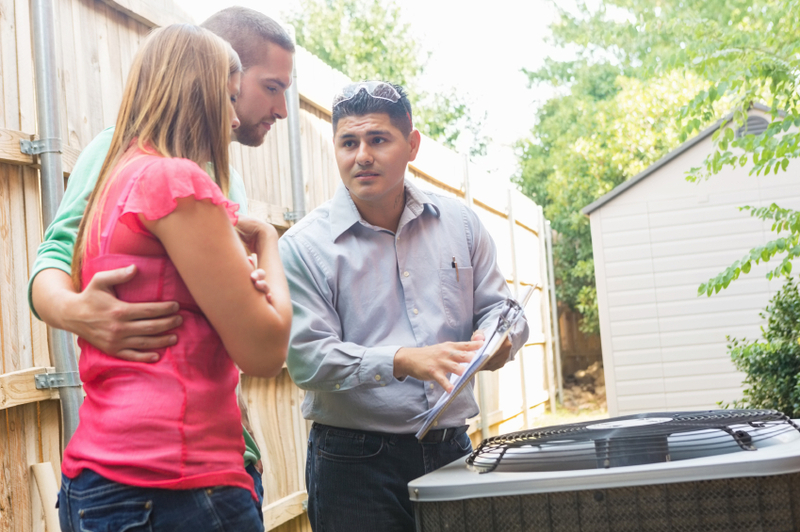 Fix: A burnt out compressor means your unit will never turn on and that the fix is usually something that’s costly. The resolution for this kind of problem is getting the equipment replaced. These are just a few of the warning signs coming from your air conditioning unit. Always be vigilant and look out for these signs so you can get the issue fixed as soon as possible.